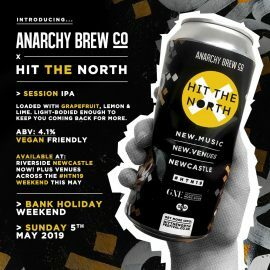 Hit The North Competition - Anarchy Brew Co.
More info on all of our beers can be found here. Over 18s only. Two tickets to be won per bottle shop. Winners will be notified on 29.04.19. Please drink responsibly.